Creating a website in the 21st century is not some Sisyphean task that you couldn’t achieve. Anyone can start a website or blog free of cost with the help of so many tools available online. Some of them are WordPress.com, WiX, uKit, XPRS, Weebly, Site123 and bloggers.com. All these platforms are almost the same as they allow you to host a website or blog on their own hosting space along subdomain name. You can even mask the sub-domain name with the domain that you can purchase at a cheap price of 3$ or 5$. 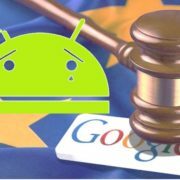 But I will recommend opting bloggers.com a.k.a Blogspot which is one of the oldest and best option to create a website free of cost on Google fast servers. The Blogspot is super easy to use the platform to create a website and it also allows you to use a custom domain. Overall you don’t need to spend a penny except if you want to use the custom domain that uses the .com top-level domain otherwise there are .tk, .tech, . space and more those are available online free to use. 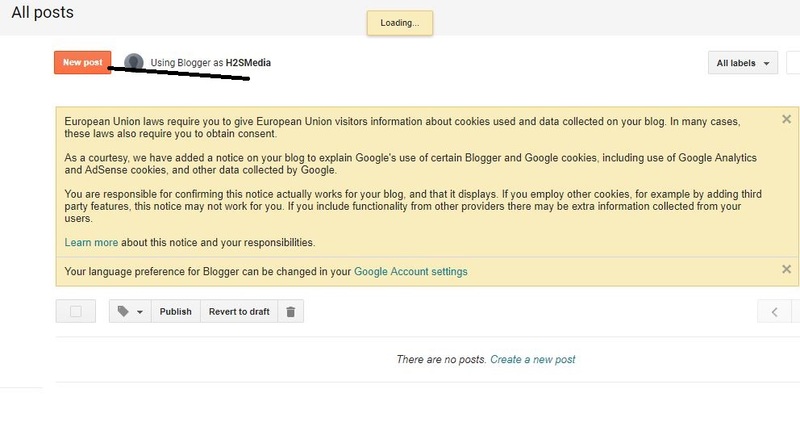 Another benefit of using Google’s Blogger.com is inbuilt Google Adsense option, once your website starts getting some good traffic and qualified for the Adsense then you can directly enable it right from your Blogger’s Dashboard. 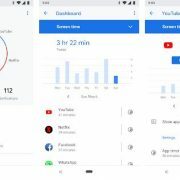 So, this free website creation guide will be helpful if you are a small business, shop, student, or beginner in any field and want a website to connect the whole world digitally. 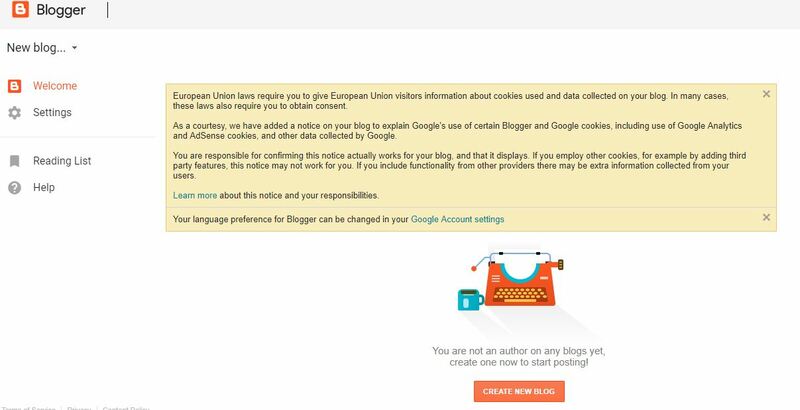 Let’s see how to create a website for free of cost on Google’s blogger.com step by step. Enter your Gmail ID and click on the Next button and enter the password to sign in with it. 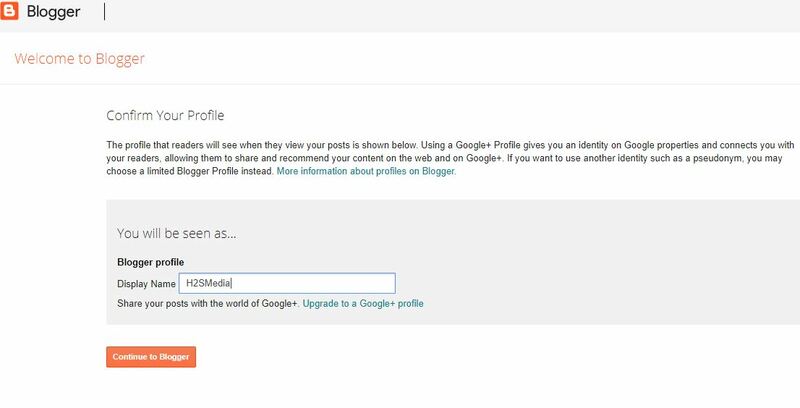 Now either uses your Google Plus profile or create a separate one for your new website. I recommend to create a custom profile and for that click on the Create a limited profile option. Enter the profile Display name for your blog or website. Give some Title to your website and then enter the subdomain name you want to use with the blogspot.com. For example, here we are giving freewebsite as title and h2sfreewesbite.blogspot.com is the website sub-domain name. Click on Create blog button. Now to create a post click on the New Post button and start publishing your content. 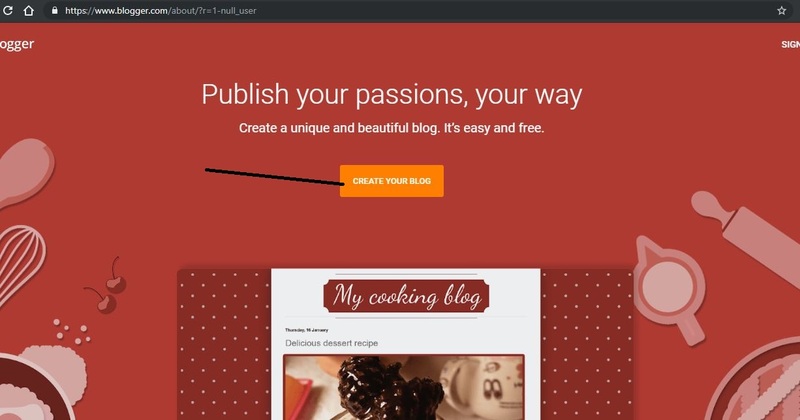 Step 1: Visit the Bloggers.com and click on the Create you Blog button as shown in the screenshot. Step 2: Enter the Gmail ID and Click on the Next button. 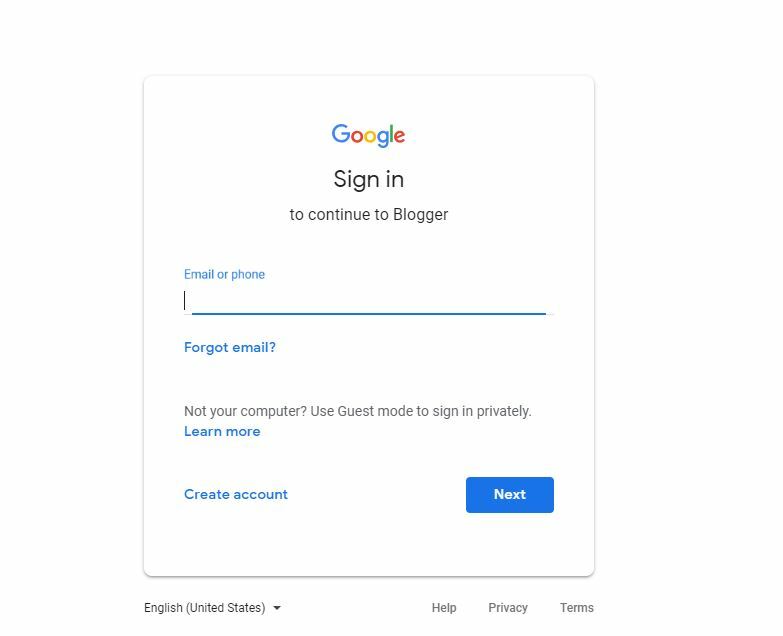 After this, it will ask for the Gmail account password with which you are about to log in, provide that and sign in to blogger.com. Step 3: Create a user profile for the website you are about to create on the Blogger. 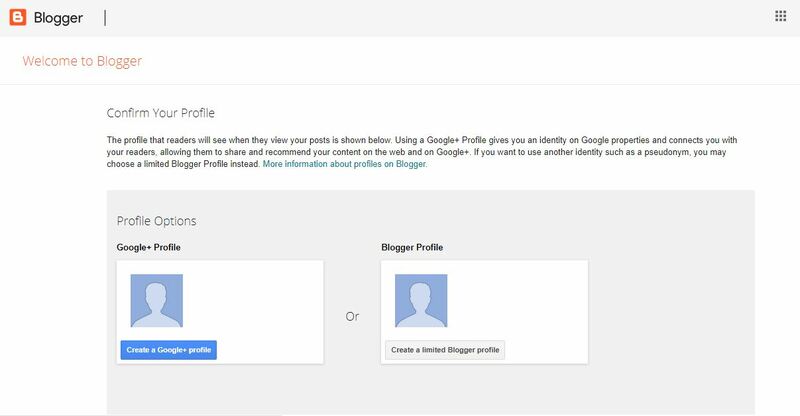 You can create and use either Google+ Profile or Blogger Profile. Well, create the Blogger Profile by clicking on the Create a limited profile Blogger Profile button would be a good option. Step 4: Provide some Name to your Blogger profile that will display publicly on your website. And click on the Continue to blogger button. Step 5: Click on the Create New Blog button. 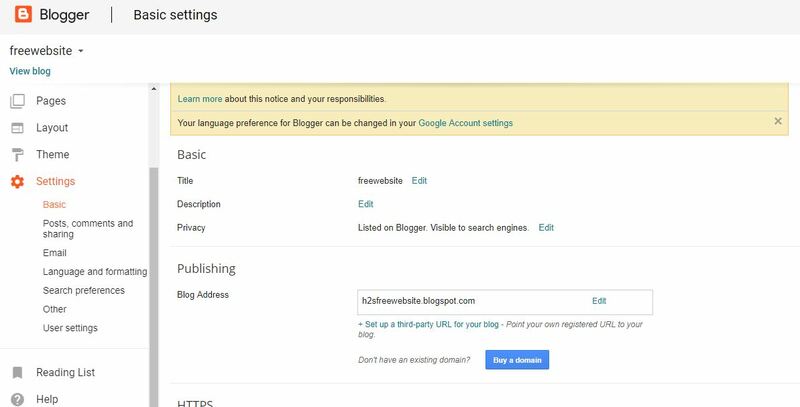 Step 6: Create a new blog: In this step, you need to give the Title of your blog/website and the address/ sub-domain which used by the people to access your website. As just for the tutorial sake, here we have given the Title: Freewebsite and the address is h2sfreewebsite.blogspot.com. 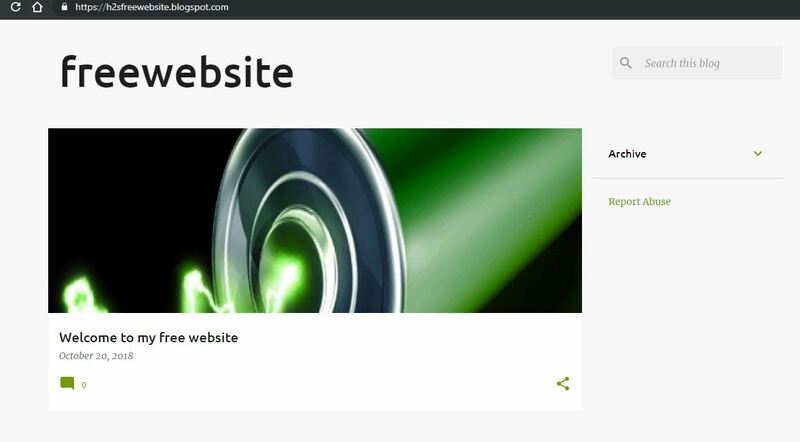 You can enter yours and then select the theme which you want to use for your website. 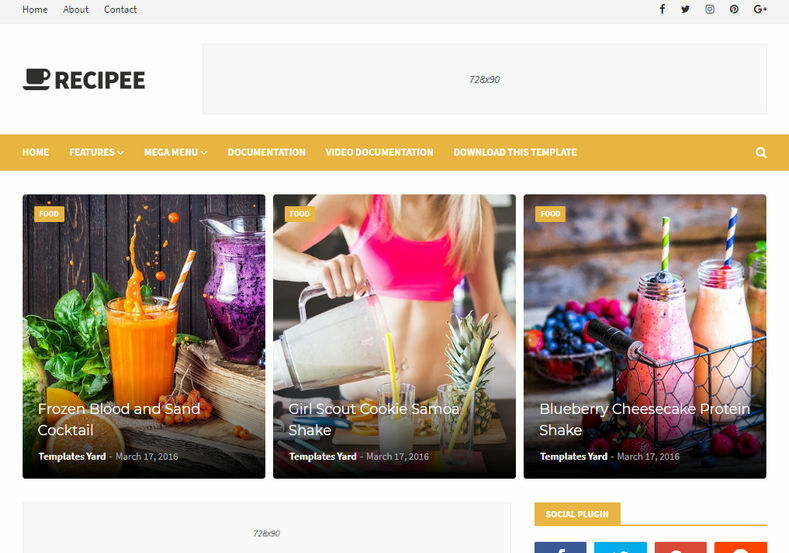 The theme can be changed later even some third party themes just like WordPress available online can also be implemented on the Blogspot to give a better look. Once you are done click on the Create blog! button. Step 7: Now you see the Dashboard of your website’s back end. To create and publish the posts just click on the New Post button. 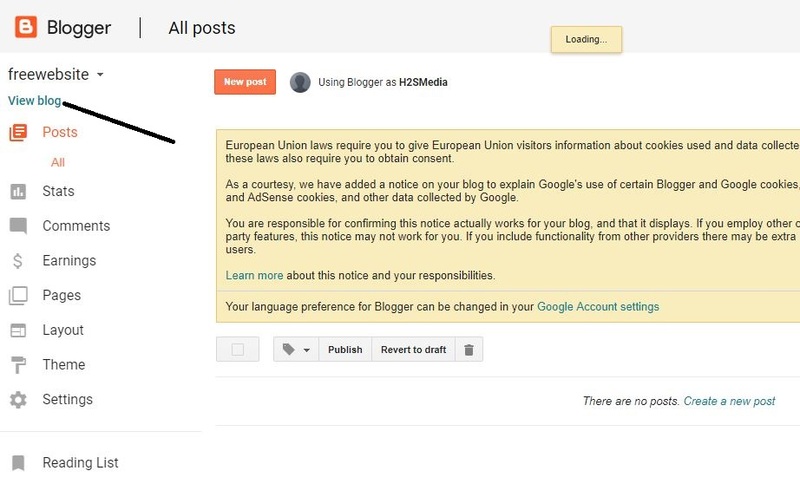 Step 8: Once you created and posted your first post on the Google-hosted Blogspot just click on the View blog button to see the front end of your website. Step 9: Here is our front end of the website we created free of cost on Google. 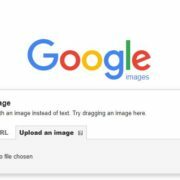 Posts: To create a post for your blog. Stats: It will show how many visitors visited your website. Comments: All the comment those left by your website visitors will show here for your approval. 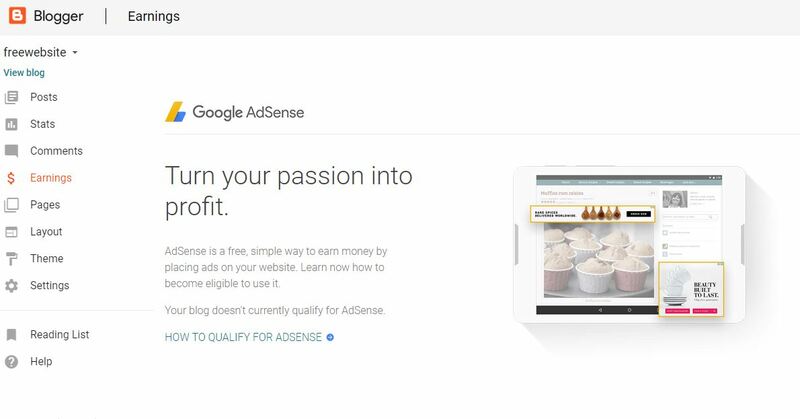 Earnings: Once you are qualified for the Google Adsense you can directly activate and measure the revenue made by your website or blog using the Adsense under this option. 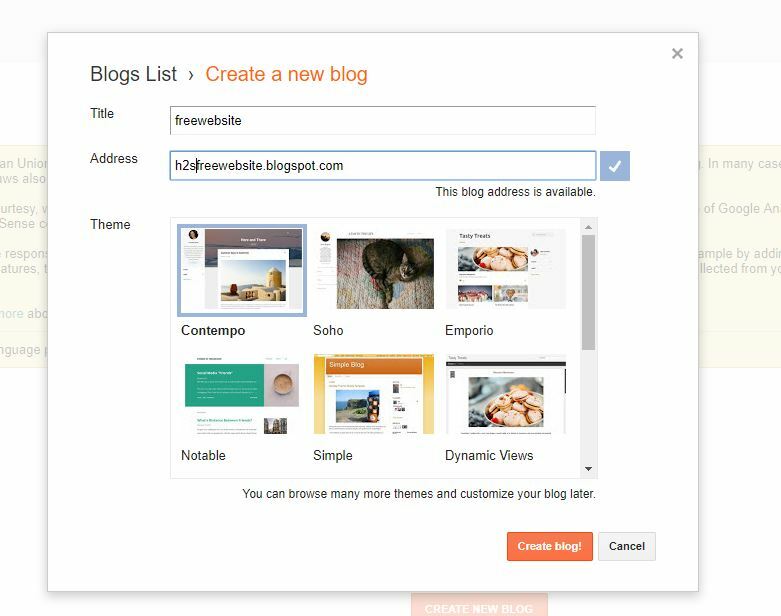 Pages: Suppose you don’t want a Dynamic blogging website then you can use the pages option to create static pages. It also can be used to create contact and about like pages for a blog. Layout: The theme implemented on the Blogspot has predefined sections like header, footer, blog, sidebar and more. All these can be customized and re-arrange from here. Moreover, implementation of the Widgets can be done from here too. 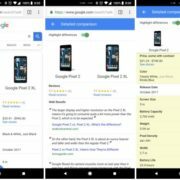 Theme: Just like WordPress or any other website building platform the Google Blogspot also allow to use some third-party theme or just use the pre-defined theme available there under the Theme section. If you have some HTML and CSS coding knowledge then you can customize your own theme right from here using the Edit HTML option. To upload some third party theme click on the Backup/Restore option given on the right top corner. Settings: This option where one can play around the core settings of the website or blog created on the Blogspot. For example, you want to change the Title of the website or want to use some third party URL or custom domain for your Blogspot website then you can do those from here. You can search online, there are so many free templates available for Blogspot to make it look like a professional website.